Not surprisingly, the performance of Snap (NYSE:SNAP) stock has been really bad. Since the start of the year, SNAP stock has hemorrhaged a shocking 47% of its market capitalization. Even worse, most of the damage has occurred since mid-August. Of course, SNAP stock began to tumble at that time because of fallout from its earnings. While the headlines of its second-quarter results were good, as the social media company beat earnings per share expectations by nearly 18%, the fine print was not impressive. Snap’s daily active users, or DAUs, failed to meet expectations. Even worse, the DAU count slipped in Q2. As a minnow compared to social-media king Facebook (NASDAQ:FB), Snapchat has no excuse for declining growth at this stage, since it has the law of small numbers working in its favor. Snapchat stock is also what I might call an “FZBZ” investment: for Generation Z, by Generation Z. After all, no one over the age of 27 is entertained by “rainbow puke” lenses. With that said, the implosion of SNAP stock appears to have awoken the company’s management. An insider leak revealed that Snap CEO Evan Spiegel distributed a 6,500-plus word internal memo. For some context, that’s about eight times the length of this article. The memo provided a refreshingly frank take on the company’s woes. Spiegel admitted that the company implemented a controversial redesign too quickly. He also stressed Snap’s need for financial stability. Snap aims to break even in Q4 and turn profitable in 2019. To get there, Snap will look to exploit growth opportunities in India, Indonesia, and Brazil. But will that be enough to propel SNAP stock meaningfully higher? From what I can gather from the internal memo, Evan Spiegel appears to be a nice guy. However, the markets have no room for nice guys or their accompanying safe spaces. It’s kill or be killed. Unfortunately, Spiegel’s idea, while well-meaning, will probably not help Snapchat stock at all. First, let’s talk about the company’s daily active users in Q2. The biggest takeaway wasn’t necessarily the decline in the company’s growth. I actually warned about that problem earlier this year. Mathematically, it was obvious that Snapchat’s DAUs had already hit a maturation point even though the company is so young. The more critical issue is that the company’s DAUs declined in all geographic areas: they fell 1.2% in North America, 1.6% in Europe and 2% in the rest of the world. Snapchat lost more momentum overseas than on its home turf. So how is a push to Asia and Brazil going to spark a rally in SNAP stock? Another problem is engagement, or lack thereof. The Snapchat app just hasn’t resonated with Asian users. Last year, Snapchat was woefully unpopular in countries like Singapore, Hong Kong, and Japan. Snapchat has been especially unpopular in Japan, as Japanese youth have gravitated towards Facebook’s Instagram, which offers Snapchat’s core features without its stupidity. There are several theories as to why Snapchat hasn’t succeeded in Asian markets. I believe the root cause is cultural. Rival Twitter (NYSE:TWTR) finally made headway in the Japanese market earlier this year. That company was able to become successful by becoming more responsive to the needs of local advertisers. What you don’t want to do is to disparage your customers. While Snap denies that Spiegel made the controversial remark that Snapchat is “only for rich people,” the overall optics are certainly negative for SNAP stock. The company’s internal memo laid out the vision for a profitable future. But the details reveal that the strategy is a pipe dream. Snapchat isn’t winning in Asia and other developing nations, which is prime territory for Facebook. 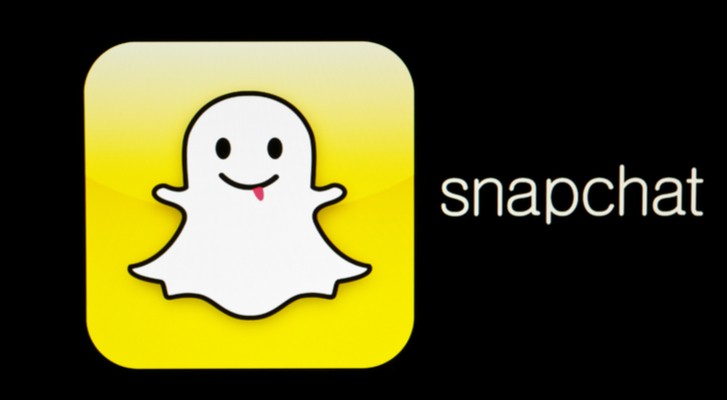 The danger now is that the markets sense that Snapchat stock has become commoditized. Remember, its credibility came from engaging young people. But young people are steadily gravitating towards Facebook via Instagram, something that I also warned about. SNAP stock has truly become a gamble. Speculation about a takeover of the company is the most likely catalyst for a meaningful advance by SNAP stock. As our own Larry Ramer explained, Snapchat is a data goldmine, especially for the lucrative Gen-Z market. I agree with him. But after examining the company’s implosion with morbid curiosity, I believe the potential buyout price is getting cheaper by the day. If you must bet on Snapchat stock, I won’t get in your way. But at this point, smarter, more predictable opportunities exist. Article printed from InvestorPlace Media, https://investorplace.com/2018/10/why-you-shouldnt-gamble-on-snap-stock/.